Now, the students who have just completed the Personal Project during the long period of June 2016 to February 2017 are giving advice to the those who are going to face the P.P, next year and, that advice is: ‘NEVER PROCRASTINATE’. After the Personal Project has been completed, ISS students were required to participate in a Personal Project Exhibition on February 9th. 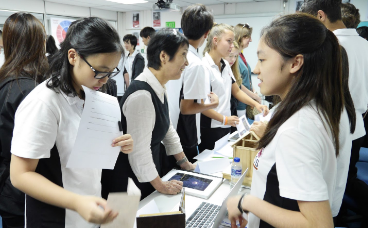 Each student set up their booth to explain and show their project and progress to an audience made up of grade 9 students, parents and teachers. 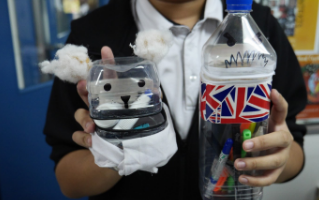 It went successfully, and the grade 10 students were able to finally say ‘bye’ to personal project! 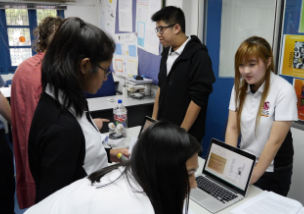 According to Ms. Shelly, MYP coordinator, the Personal Project is a communication project that students are required to complete at the end of the MYP programme so that they can apply what they have learned, such as knowledge and the design of their own project. She mentioned that the personal project challenges students to manage themselves and their skills of time management, thinking skills, social skills — all skills that would be important for students to move on in their life. 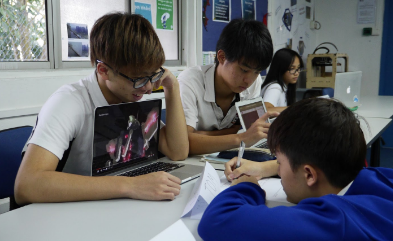 Ms.Shelly added that students are going to do a similar project during the Diploma Programme such as the extended essay, or numerous Internal Assessments (IAs) so completing the personal project would be very helpful. As few examples, there was student A who did their personal project about ‘Creating a picture book for the children at an orphanage in Myanmar’. She said that she chose the topic because the orphans in Myanmar barely get any English education, so she wanted to make a book for them so that they can learn English. As tips, she mentioned “Do not leave everything to the last minute, and even if you have very hectic schedules try and make time for the Personal Project. Whether you pass or fail MYP depends on whether you finish the Personal Project or not, so PLEASE BE CAREFUL”. Student C chose the following topic: ‘New innovation of aircraft’ because the death rate of aircraft accidents are rising up in the world. So he wanted to make a new safety facility for airplanes.